For all its advances, our secular age has also weakened ties to religious belief and affiliation, and Latter-day Saints have not been immune. In recent years, many faithful Church members have encountered challenging aspects of Church history, belief, or practice. Feeling isolated, alienated, or misled, some struggle to stay. Some simply leave. Many search for a reliable and faithful place to work through their questions. The abundance of information online can leave them frustrated. Planted offers those who struggle—and those who love them—practical ways to stay planted in the gospel of Jesus Christ. "An entirely honest and entirely affirming treatment of the challenges facing LDS believer. Mason brings a historian's training and sophistication together with a disciple's compassion and sensitivity to bear on an urgent topic. The result is a provocative and inspiring framework for faith." Doubt is not a spiritual death sentence. Stay in the church. Lift where you stand. Maintain intellectual and spiritual integrity. These are the helpful messages in this book. Recommended. Boyd K. Packer said that we need to "inoculate" our children against the world. He encouraged seminary teachers to teach the dicey topics found in the gospel topics essays from a place of faith, to immunize the youth, so that when they hear of anything iffy in our church's history, it doesn't cause them to doubt. I feel like that is what this book was for me-an immunization so I'm not caught off guard if I hear about these topics from a more negative viewpoint. But it was still hard for me to stomach some of the topics in this book. There is danger in laying out a bunch of specific reasons people doubt, without knowing your audience is ready to receive it. Usually when people have doubts, they don't tell other people the specifics of where those doubts stem from, so as not to cause those around them to also doubt. But this book throws out a bunch of specific reasons people doubt. Of course, then it goes through and explains how to have faith when facing those troubling premises. But for someone who has just one question and reads this book, he may come away with more obstacles to overcome, especially if he doesn't buy into the author's answers. I think this book is better for someone who has been doing a lot of research about church history and is already familiar with the questionable topics, or for someone who has a strong testimony, but reading this book would be a risk for someone who is really struggling to have faith. To all you one star reviews. You’re a reason why people leave the church. But ignorance is bliss. Continue believing as you believe and you’ll continue to not understand what you clearly are too righteous to understand. This book is not for exmormons. This book is for Mormons who don’t know just how many exmormons are exmormon because of their holier than thou comments. As an exmormon you can only stand going to church so much before you realize the amount of happiness and answers beyond the faith far outweigh any religion. This book clearly exists as a testament for those who’s stories you would not give an ear to. Mormon stories podcast is a gateway to personal stories beyond this summary, and it will challenge your faith. Often it takes more faith to doubt than it does to believe. Believing allows you to stay where you are, comfortable in your cloud in the sky looking down on all of us. Doubting is true faith, not knowing where the next step lies in the journey, but taking a courageous step into the darkness. Doubting leads to progress and understanding. Read this book and doubt it’s truthfulness. Doubt your faith. Then take a step into the unknown and you’ll have empathy for those who have done the same. And quite possibly you’ll see happiness exists on the other side. Doubt is not a struggle, it’s a pathway to freedom from those who think the doubter is less than the believer. Read the book if you’re Mormon. Thank you Patrick Mason for writing such an honest, faith-affirming and empathetic book. And thank you Deseret Book for publishing it. I recently read this book with my college-age child who is struggling to reconcile some parts of our church history and decide if she has a "place" in the church. She would read a chapter and underline what resonated with her, and then I would do the same. We would then discuss each chapter together. The strengthening conversations that followed are priceless to me. So many times, Mason articulated something I felt and wanted to share with my daughter but didn't have the words for. I understand that this book might raise more questions for some, but this book was an answer to my prayers and I am deeply grateful for it. This book has an important place in Mormon thought as we move into an era of greater transparency. Mason provides a perspective that may be crucial for some who expect clear correspondence between Church history and modern Church culture and practice. But this book is not for everyone. Mason spends significant effort explaining why believers struggle with doubt; indeed he does so with such ferver that it often seems he raises more questions than he answers. In fact, I think the apparent disparity between questions and answers comes because he raises specific questions and responds with general, theoretical answers. This approach (like Mason's folksy sense of humor) works sometimes, but it often left me frustrated. As a result, I am hesitant to recommend this book to those looking for clarity, but it may help others understand that doubters are not faithless or threatening; they are some of the best of us. For those struggling with Mormon culture and to a lesser degree Mormon history, I recommend The Crucible of Doubt by Givens. First off, I am appalled at the negative comments. I am born and raised in this marvelous church, am a 69 year-old High Priest and have never, ever been a doubter — but I have seen those who struggle or are different due to being raised in a different faith pushed out of the circle of fellowship by unfounded rigidity, small mindedness, and those who are culturally steeped in LDS "ways" as it has been handed down generation after generation. This book addresses those things from a non-critical point of view. We can continue to be closed minded and resolve nothing or we can be Christ-like in our love and charity towards others. This book in no way would push anyone over the edge. Instead it helps those with doubts, and those who worship with them, to feel comfortable together. It has been a tremendous help to some I love, and brought them closer together and has given them comfort and understanding. I highly recommend this book. Beautifully written, honest and clear. The faith described in this book is open-eyed, well-informed, compassionate, rational as well as mystical, grounded in the truth and intelligent. This is faith that is rooted firmly in both the believer's heart and mind - the kind of faith that will flourish through trials and questions. Thank you, Deseret Book, the Church needed this one. I hope we see more of the same in the future. I usually don't review books, but I saw some of the one star reviews here and thought I should add my thoughts. One reviewer said "To get rid of doubt someone needs to strengthen their testimony of the Atonement of the Savior. Faith is where everything starts, faith in the Lord Jesus Christ. There is absolutely nothing in this book that will strengthen your testimony." I have to disagree here. The book is based on the idea that our faith should be planted in Jesus Christ above all, and talks about how the Atonement of Jesus Christ applies to each of us individually as well as the Church. Another reviewer said this book is "faithful apostasy." That reviewer exhibits the sort of attitude that has been driving so many good people from the Church, making them feel unwelcome or like they are not good enough, or that as church members we have to be all or nothing. This book recommends we love each other, that we exhibit Christlike love for each other. Jesus Christ accepts us where we are and invites us to grow. We should exhibit that same attitude toward each other as members of the church. Thank you Deseret Book for publishing such a forthright and faithful book. I have been recommending it often. I would not recommend this book to a person who doubts or a family member of a doubter. Mr. Walkers review is absolutely off the mark. If any family member were to use the ideas suggested in this book to help strengthen a doubters testimony, they would fail miserably. I agree with the review that Callister's Infinite Atonement is a much better read. That is strong sound doctrine with zero apologies. They may not be the same type of book, but they do address the same theory in purpose. To get rid of doubt someone needs to strengthen their testimony of the Atonement of the Savior. Faith is where everything starts, faith in the Lord Jesus Christ. There is absolutely nothing in this book that will strengthen your testimony. This is an apologetic book -- nothing less and nothing more. There is subculture in the Church that seeks to excuse itself from discipleship. It demands that there be alternatives to paying the price of building your own foundation of faith. The five foolish virgins now want their due. This book is about "embracing" doubts. The stab of doubt can be painful. And it is okay, as long as it motivates a Church member toward building a better bedrock of belief. But to put forth the theory that doubt in and of itself is a healthy way of life is pure apostasy. "Doubt" seems to be such a trendy word these days. From General Conference addresses to other books published about the subject to news stories, it seems this topic is on the minds of many within the Church. Patrick Mason does a great job looking at the concept of belief and faith within the LDS context, and finds that there is much more nuance to one re-examining their faith than simplistic answers provided by either side. This book is great for leaders, loved ones, parents, and friends who might know someone going through a faith re-examination. It provides an easy-to-understand, faithful background as to the "why's" behind someone experiencing questions, which I would say is one of the most important things members can learn. But Mason also includes anecdotes, examples, and commentary as to why having questions about one's faith isn't a bad thing - and how it can be faith promoting in the end. After all, the LDS Church was established because of a young man asking questions. I was very impressed with this book. In an environment of quick, one-sentence answers on either side that seem to exacerbate rather than comfort those having questions, Mason patiently lays out how to contextualize our faith and belief in an age of doubt. I found Patrick Mason’s discussion of faith in an age of doubt not only helpful to my LDS outlook, but helpful to a general religious worldview in a secular zeitgeist. 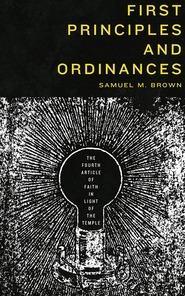 His observations on the shifting nature of historical scholarship, different types of scriptural testimonies, comparisons between the “scandals” of early Christians and modern Latter-day Saints (with our history so “tantalizingly within reach” – what an apt phrase! ), and advice/personal stories on dealing with difficult issues all combined for a truly helpful theoretical approach to faith, doubt, and the religious journey. Readers who come expecting to have specific questions all neatly answered will indeed be disappointed because Mason’s approach is paradigmatic, intended to offer mental and spiritual tools along each of our Pilgrim’s Progress paths. Other books and websites address specific questions, but the answers sometime change as time goes on, which is why I prefer the general approach. I do feel, also, that this is the kind of advice and approach also extended in general conference talks recently—that to maintain faith, we must discard mindsets that demand immediate and specific answers and be willing to spiritually and intellectually take Kierkegaardian leaps of faith at times. Probably the most refreshing aspect of Planted, for me, consists of its Christ-centered theme of abiding in the vine of Jesus Christ. Mason points out that all of us—members, prophets, saints, sinners, and the Church itself—must remain planted in the true Vine because we require his grace, forgiveness, and salvation. Powerful stuff, and to me, deeply faith promoting. Planted is an excellent book both for those who struggle with faith and church culture as well as those who want to develop greater empathy towards members who express doubts and questions. Great book for parents and church leaders. I have to disagree with the reviewers who found it to "liberal." I think the agenda is pragmatism more than liberalism. In my experience, the standard answers of testimony development are rarely effective with those whose belief in the church has been rocked, particularly in the Information Age where historical and cultural questions are increasingly difficult to avoid. A step needs to be taken before spiritual rebuilding can take place; and that is a desire to even remain engaged with the faith community. That's what Planted offers: remaining "planted" in the church while working through questions and doubts. That is a pragmatic and empathetic, not a liberal response. I am not aware of any book of this sort published by Deseret Book, and for that reason alone this book deserves the acclaim that it has recieved. It is refreshing to see a faithful scholar publish an accessible book that is meant for both devout believer and disaffected doubter and everyone in between. This book addresses issues of history, culture, and doctrine in a refreshing fashion. That said, I felt that there was a variation in quality in some of the chapters. Some of the chapters provided concrete and particularized advice for both doubting and certain members of the Church. I thought these were the best chapters. Not surprisingly, for an author who writes a lot in Mormon history, Mason's chapters on history and historical ambiguity were very well done. I also loved the early chapters on the nature of faith and doubt. There is so much in here that is thought provoking and challenging. There were also some weaker moments. There are a few times when I agreed with the critical reviewers that Mason slipped a little too fully into the mindset of those who question prophetic authority or the inspired nature of certain doctrines about gender or sexuality. At times, the author's biases crept through even though he did an admirable job of avoiding this. I thought the chapter on prophetic flaws was particularly riddled with these flaws and it was my least favorite part of the book. On the other hand, I also wish the author would have injected a little bit more of his own experience into the text. Some of the highlights include a story from Mason's mission and excerpts from others such as Claudia Bushman. I thought these personal stories really enhanced the text and brought life to it. Despite the flaws and inconsistencies I highly recommend this book. I'm not sure what book some of the negative reviews read, but their discontent didn't come through for me. Planted is compassionate, considerate, and thoughtful. It presents religious belief in a way that can include doubt and that can engage with, what have typically been, controversial issues. The point of the book is not to offer answers to these issues and is not to prescribe the way that Mormons should believe. Rather, the point is to foster sympathetic conversation in a membership that has both struggled with doubt, and more importantly, struggled with understanding people who doubt. In that regard, this book is one of a kind. It successfully, in this reviewer's opinion, shows the opportunity for love in Mormonism's future. The LDS Church's approach to its own history has shifted over the last several years with major undertakings like the Joseph Smith Papers Project, the Gospel Topics Essays, and the newly released 'The First 50 Years of Relief Society' by the Church Historian's Press. As Elder Ballard said in his recent CES address, "Gone are the days when a student asked an honest question and a teacher responded, “Don’t worry about it!” Gone are the days when a student raised a sincere concern and a teacher bore his or her testimony as a response intended to avoid the issue. Gone are the days when students were protected from people who attacked the Church." He acknowledged that the Church's curriculum in times past, "though well-meaning, did not prepare students for today—a day when students have instant access to virtually everything about the Church from every possible point of view." This abundance of information has led some to have crises of faith. This is why Elder Ballard explained, "The effort for gospel transparency and spiritual inoculation through a thoughtful study of doctrine and history, coupled with a burning testimony, is the best antidote we have to help students avoid and/or deal with questions, doubt, or faith crises they may face in this information age." Patrick Mason's book answers the call for "a thoughtful study of doctrine and history, coupled with a burning testimony." However, it should be recognized that the book's audience is not so much the doubter (though one with doubts can find plenty of valuable information and compassion within it), but those close to the doubter: friends, family, and ward members. This means that the book is less philosophical or apologetic and more pastoral in nature. Mason seeks to help members understand those with doubts by placing modern doubt in its cultural and historical context, recognizing confusing and at times disturbing pieces of Church history, and expanding the vision and mission of the Church. Instead of attempting to provide pat answers to difficult and complex questions, the book instead tries to assist members in cultivating empathy for those struggling with Church history and doctrine. By broadening their own horizons, members can build a more informed, compassionate, and mature faith. For members trying to both understand and reach out to those in the midst of damaging doubts, Mason's book is a must-read. A quick aside about some of the negative reviews: one claim in particular stood out to me as somewhat bizarre. Callister's 'The Infinite Atonement' addresses a completely different topic. While one can find inspiration in his writings, it is a devotional exploration of the Atonement--not a book addressing doubt or controversial aspects of Church history. To even compare the two books demonstrates a misunderstanding or misreading of both. When I taught early morning seminary on the east coast of the United States, I often ran into student questions that their parents didn't know how to answer. I often worked with parents and with students, explaining difficult gospel topics and helping my students and their parents learn about issues that aren't often discussed in Sunday school. Mason does a great job showing HOW to talk about difficult questions (and recommends relying on the Church's Gospel Topics essays for more specific answers). I found that students responded very well to the way that Mason talks about speaking to those with faith issues. with kindness, patience, and love. I have bought a copy for my father and will buy one for my inlaws. Seriously, if you want to learn how to talk about sensitive topics with you or those that are struggling, read Mason (and Adam Miller's LETTER TO A YOUNG MORMON!). –"Perhaps the most important thing we can do in the face of our current challenges is to make the church a more welcoming place for those who struggle, creating conditions in which they feel comfortable while they work through questions and doubts in the midst of the body of Christ rather than feeling excluded from it." –"Taken together, these portraits of faith from the Book of Mormon suggest that each one of God's children has a different pattern of testimony. There is no cookie-cutter version of belief, even for those within the church . . . Not everyone is a Nephi or an Alma, but that doesn't mean that they are a Korihor or a lost soul either. For some people, the best and perhaps only way that they can describe their relationship to spiritual things is through the language of sincere doubt." –"...We sometimes fall into the trap–laid by Joseph [Smith's] critics–that the central issue at stake in determining the validity of the restoration's salvific message is the personal character of the prophets who are its messengers." –"Unicorns and Rhinoceroses." This chapter changed the way I look at history. I can recommend this book without hesitation! I completely agree with Rae's review. I normally hate giving negative reviews, but I can't help but give Planted a poor review. Many questions are asked in the book; however, very few answers are given. Most explanations are mere apologies written by the author who can offer no other response. I completely agree that all Prophets and Apostles are human and do make mistakes; however, they deserve a lot more respect then they are given in this book. We should never have to apologize for what we believe in. I honestly felt most the ideas are very liberal in nature and I too cannot believe Deseret Book would even sell this book. A much better book on many of the questions found in this book is the Infinite Atonement by Tad R Callister. That is a fantastic book with many prayerful answers and thoughts.